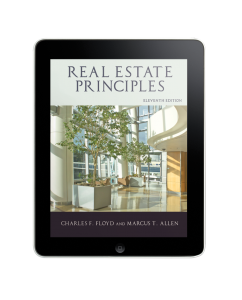 This leading collegiate text is great for business electives or required courses in a real estate certificate or degree program. Each chapter can be treated as a stand-alone learning module, making it easy for instructors to incorporate the material into their courses. Real Estate Today Close Ups, Legal Highlights, and Case Studies help clarify difficult topics and keep students engaged.